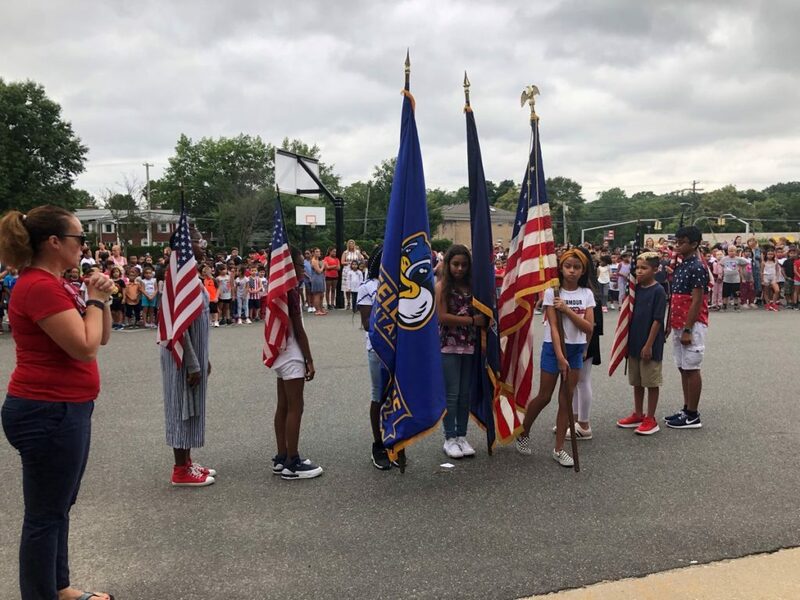 The Valley Stream Union Free School District Thirteen’s Wheeler Avenue Elementary School celebrated Patriot Day, honoring the victims of September 11th, with a ceremony outside of the school. Students carried flags; lined up in formation; shared a moment of silence with their fellow classmates, teachers, administrators, and school staff; and learned about the significance of the day. This ceremony is part of the school’s on-going commitment to help young students connect with history. By hearing about the September 11th events and the heroes of that day, the students gain a heightened respect for the selfless efforts of first responders and the importance of remembering the almost 3,000 souls who tragically perished that day. Though the students had not yet been born, the District is helping them to respect history and want to learn more.